Fall in Monterey has a unique twist from a typical autumn season. While the rest of the country welcomes cooler days and nights, we finally see warmer temps as the fog from summer month's rolls away and the sun has a chance to shine. This unique feature, known as Indian Summer, makes this season the perfect time to visit Monterey for many reasons. We've put together a fall bucket list of things you won't want to miss this fall in Monterey. Fall in Monterey has a unique twist from a typical autumn season. While the rest of the country welcomes cooler days and nights, we finally see warmer temps as the fog from summer months rolls away and the sun has a chance to shine. This unique feature, known as Indian Summer, makes this season the perfect time to visit Monterey for many reasons. We’ve put together a fall bucket list of things you won’t want to miss this fall in Monterey. Attend a local event - With plenty of local craft shows and music festivals going on in the coming months, there is something for everyone. Enjoy the talent of Herbie Hancock and Regina Carter at the Monterey Jazz Festival starting September 15th. Later in the month, take a trip over to Salinas and take in amazing aeronautical stunts and demos along with military fly-bys and aircraft displays at the California International Airshow. Tease the taste buds with gourmet food, wine tastings and live music at the outdoor Taste of Carmel event, taking place October 5-8th. Visit the aquarium – As we settle into a new school year, you’ll find smaller crowds at the Monterey Bay Aquarium making this the ideal time to visit. Learn more about our special hotel packages and how to make the most of your trip to the aquarium here. Take Advantage of Harvest Season – Many vineyards are starting to pick and now is the perfect time to pay a special visit to a winery for a taste of the local crop. A Taste of Monterey and Carmel Ridge Winery both have great tasting rooms located on Cannery Row or take a drive out to Carmel Valley to visit one of the many local vineyards. Experience the outdoors - As the temperatures begin to rise across the peninsula, it's hard to not spend every minute outdoors. 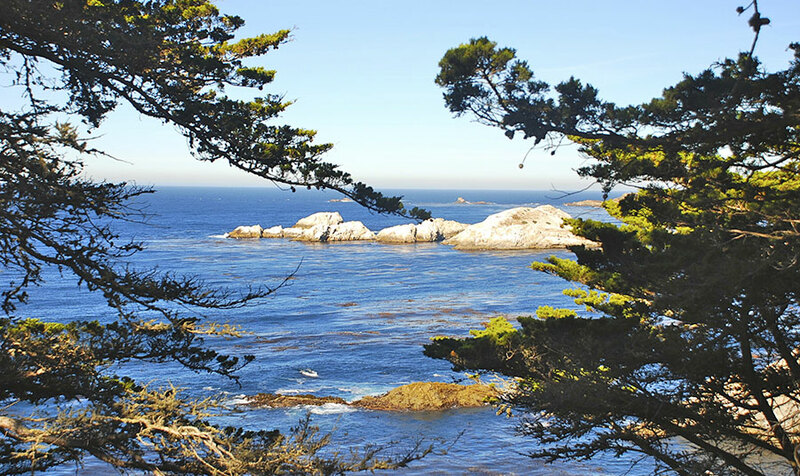 Soak in those California rays by taking a hike at Point Lobos State Reserve, kayak in the bay, or rent bikes and cruise along Monterey's recreational trail. To learn more about our hotels and the special packages we offer, visit our website and book your next adventure in Monterey.